Image courtesy of Anita J. Glaze, 1969. 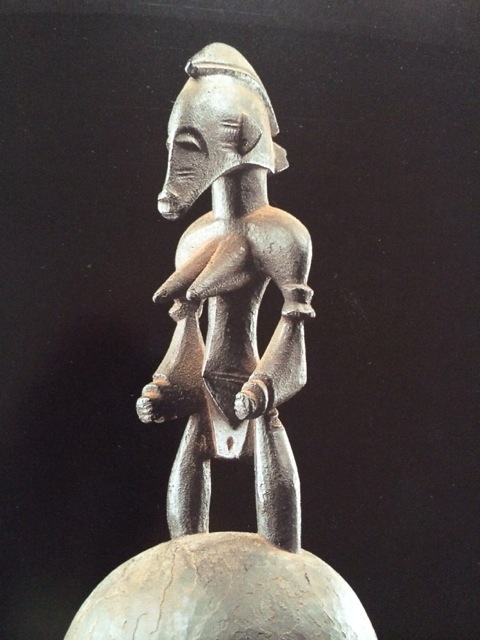 In 1969, Anita J. Glaze took the above field-photo of a Senufo staff in Ivory Coast. 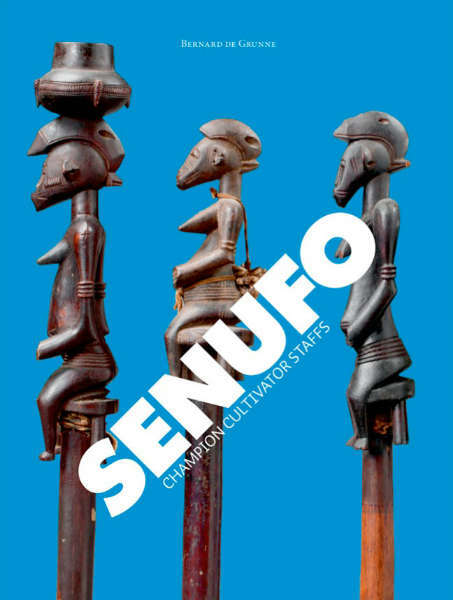 It was published recently in Bernard de Grunne’s catalogue on the subject, Senufo Champion Cultivator Staffs – which is freely available online here (p. 32). 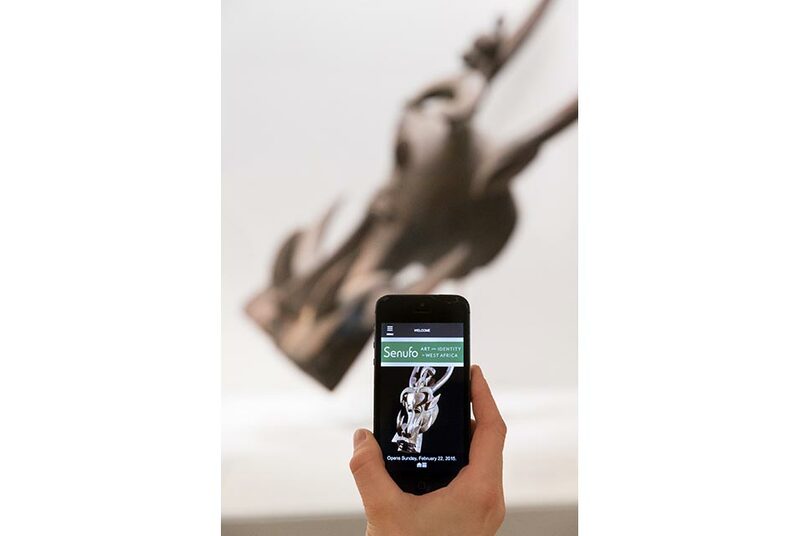 Unfortunately no additional information about the place, owner or carver is mentioned. 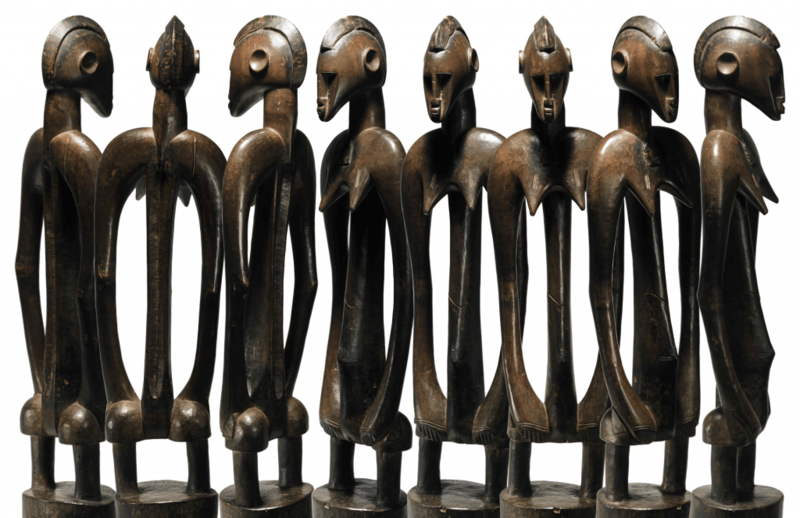 Last week, the above staff was offered for sale at Sotheby’s Paris (info). 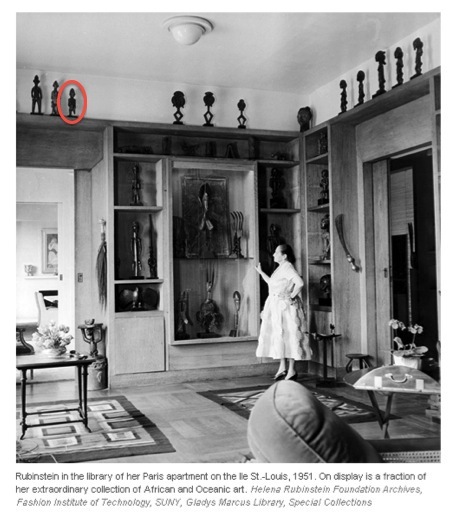 Apparently the staff left Ivory Coast not long after Anita J. Glaze photographed it, since according to Sotheby’s it was already owned by Harvery T. Menist ca. 1968. Although the field-photo is a bit blurry, details such as the red fibers and presence of cowrie strings make it clear this is one and the same staff. I discovered two more staffs that are possibly carved by the same sculptor – only the angle between the upper and lower arm is different. 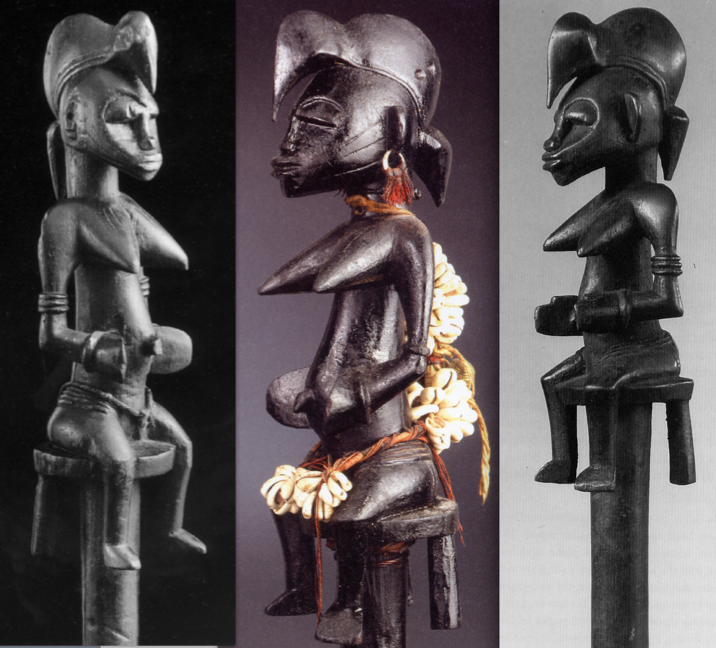 A nice detail is how the carver omitted the two front legs of the stool the woman is sitting on, carving only the legs of the figure while maintaining the balance of the stool. 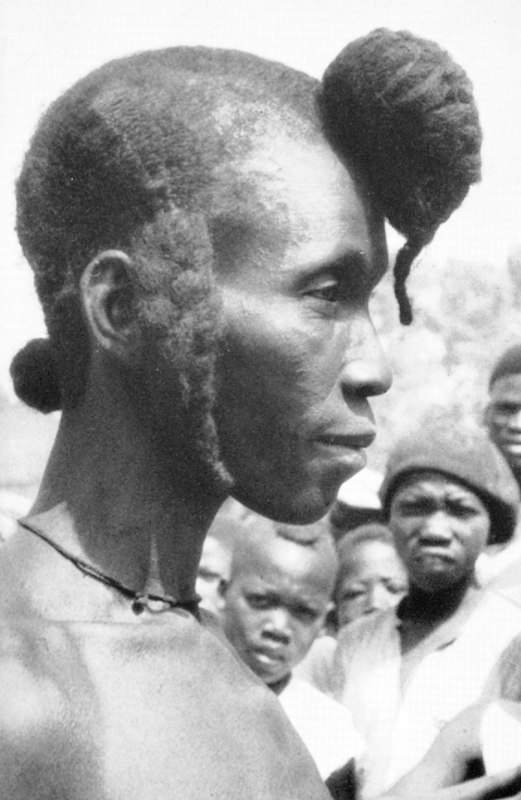 Left: published in Afrikanische Kunst. Düsseldorf: Galerie Simonis, n.d. & right: published in: Sotheby’s, New York, 14 November 1995. 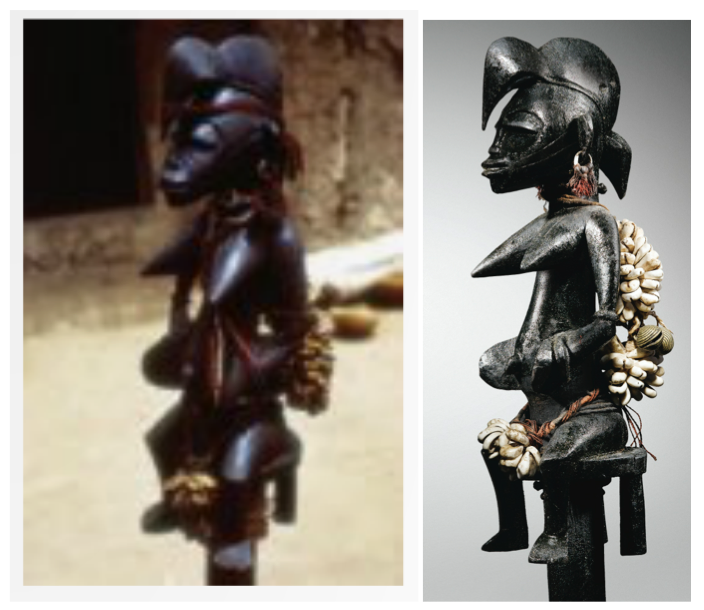 Lot 64.
ps the elaborate hairdo of the female figure crowning this staff in facts reflects an existing Senufo hairstyle – as can be seen on the beautiful field-photo below. 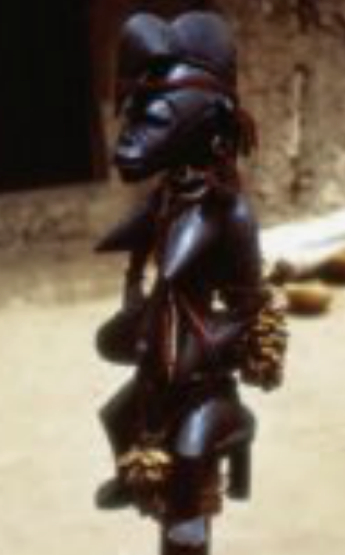 Senufo woman. Published in: Himmelheber (Hans), “Negerkunst und Negerkünstler”, Braunschweig: Klinkhardt & Biermann, 1960:64, #53 (top left). 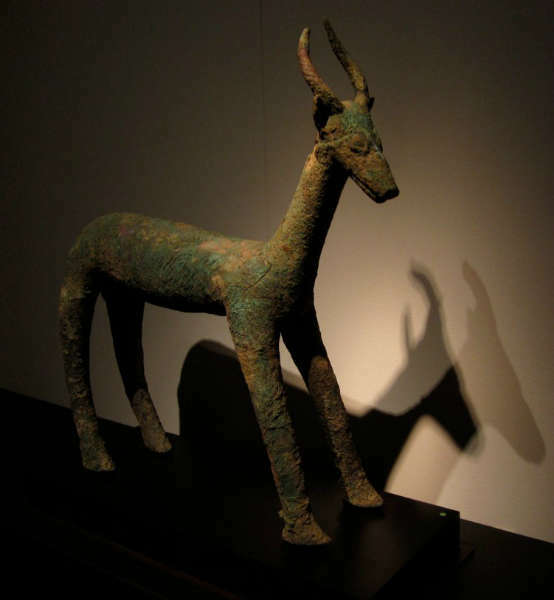 This entry was posted in Objects, Research and tagged Senufo on December 7, 2015 by admin.